Hello and Happy Monday! 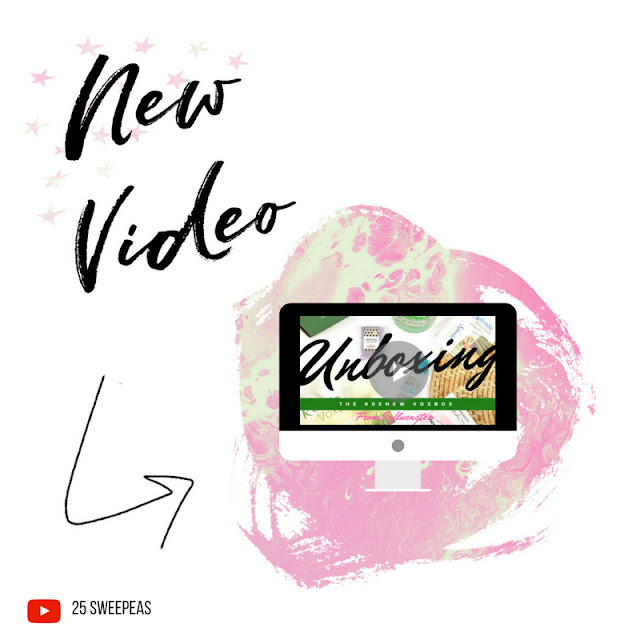 Today I have something a little different to share and I am pretty excited about it! 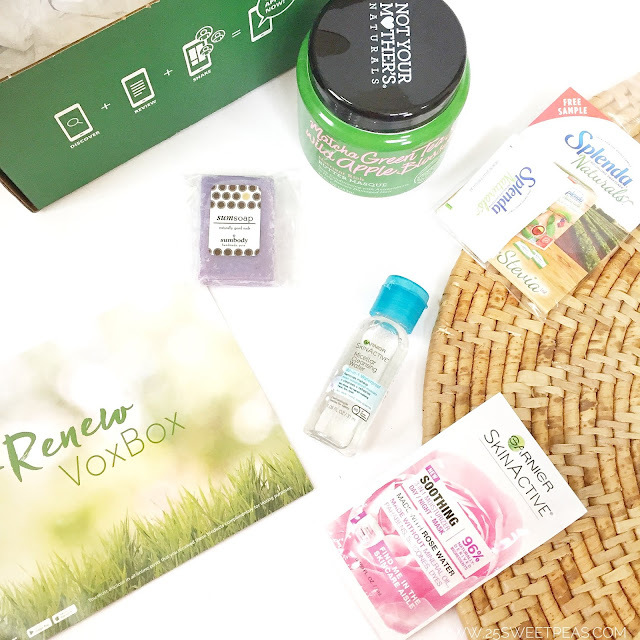 Influenster recently sent my their #Renew VoxBox which has a wide variety of items so I thought it would be fun to have a blog post all about them AND even an unboxing video which is on Youtube Now! First up we have something from the brand Not Your Mother's which is a Cruelty Free American made brand based Florida. They have a wide range of products that can usually be found at Target, Winn Dixie, Ulta and other stores that carry hair care. I have actually been using their texturizing spray for a few years now and I love it. Anywhooo today we are talking about the Matcha Green Tea & Wild Apple Blossom Nutrient Rich Butter Masque. This is a full size product and retails for $9.00. Shop their shop here. Next up we are checking out 2 products from Garnier, one a All-in-1 Cleanser & Makeup Remover and the other being a 3-in-1 Moisturizer Day/Night Mask. Both of these are sample sizes and I do believe Target has sample sizes in their sample area in case you just want to try them out. First up the All-in-1 Makeup Remover. The great thing about this is that it says no fragrance, no oil, and no alcohol it also is meant to work great for removing waterproof makeup. (I am not using any waterproof makeup at the moment so I can't attest to that but..) Now I was excited about this because I really love Micellar Cleansing Water as a makeup remover and on the bottle is does day Micellar Cleansing water. That being said when the bottle is 100% still and you look at it you can see what appears to be an oily layer at the top which is one of my pet peeves with removers, which is why I like Micellar Cleansing Waters. I was soooo hoping it wouldn't feel oily on but it does. So I am not too thrilled with this item but now I know, and you know too. If you don't like an oily feeling remover don't use this. If you don't mind the oily feeling though you may like it. You can find it at Walmart and Targets and it should retail at about $6.96 for a full size bottle. Last up for Garnier is the Soothing 3-in-1 Moisturizer Day/Night Mask. According to its description, its meant to be "a day moisturizer that hydrates, a night moisturizer that nourishes, and a face mask that soothes." This package was a one time use one, but if you were to get a full size it would be in a tub like packaging. I would say its a nice mask but nothing over the top beneficial. I just felt like I had a clean face, which is nice but with a mask I usually want more. Like I want it to leave a difference and or being a nice experience ya know? This did smell nice but it didn't feel like ooo mask time. Its a much lighter mask that I'm sure could be good to use multiple times a week and be all good. I feel like since it is a hydration one though for those who have dry skin all of the time its a nice low maintenance mask to work with if you need to use something often. Its available at Walmarts and Targets and retails at $9.96. 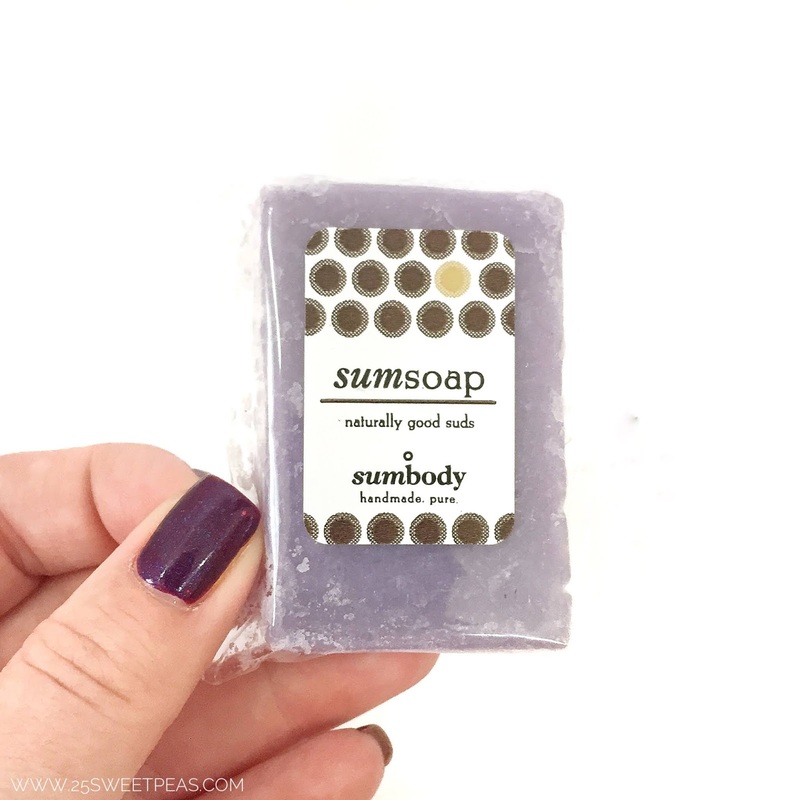 Now on to one of my favorite things in the box, which was a little bar of soap from Sumbody which is a skin care company that has various products. This just so happened to be the Natural Handmade Soap in a Lavender Scent. Which is amazing by the way. There is so much to learn about this company too so if you have never heard of them you should check them out here. They are cruelty free, GMO free, non toxic, sustainable, handmade, free from fillers, and are made in the USA. All of which are so great. As far as I can tell you can only find this amazing smelling soap on their site. Now I also kind of want to try the matching lotion! Check the lavender options out here. The second thing wasn't actually in the box because it was a butter but the box came a redeemable coupon for a plan based butter of our choice from Pure Blends. The options were Coconut Oil based butter or Avocado Oil based butter. So with me being me of course I picked the avocado based one. Our Walmart did not have it in stock but I assume the may soon? Not sure. I can say Winn Dixie does have it so if you are in the south and are lucky enough to have a Winn Dixie you should be able to find it there. Now when we normally have bread and butter we typically used I can't believe its not butter by Brummel and Brown which is a yogurt based butter that I love. When I compared it to this Avocado oil butter its SO close. Like on bread (homemade bread to be exact) it takes the same. Looking at it in the container the Avocado Oil butter does seems to be a more oily on the edges but thats expected. Taste wise they taste alike and both are really good! So if you are looking for a butter alternative I would totally suggest trying this out. Here are all of its health stats. Its also less calories than Brummel and Brown too! Well guys that is it for whats in the box, we saw it all. Some fun items and ones I definitely will have to look more into, that soap smells amazing the hair mask does too, and and the butter tastes great! Ha!! Now if you would prefer seeing this all in action you can now on Youtube. This video was a struggle, I had planned to film so many times and then soon as I would be about ready to set up it would thunder, or pour and mess up the audio. Like it was just not happening but in between gaps I think I got decent footage, of course soon as I did start it the rain began and I could hear thunder but I think we made it though without messing up the audio to much. Well thats it, let me know if you would want more posts like this where its all kind of a mashup of things in the comments below, and have you tried any of these things? What where your thoughts? If you would like to join Influenster check it out here. oooh, I want to look into that soap brand!! I love me some soaps! I also want to check out that hair masque! That tub is huge! It is! I used it like a mask over he weekend but I totally think I could use it just on ends as a conditioner on the norm! This is a pretty great box! I love the Garnier masks so much! It smells SO nice on, so thats an added plus too! The weather has been determined to not let me film! LOL! It really is a nice way too! I use the Brummel yogurt butter too so now I'm curious about the Pure Blends. It's fun to get these boxes. If you get a chance you should totally try it, less calories and taste really good! If nothing else it gives a back up when/if the other is our at the store! 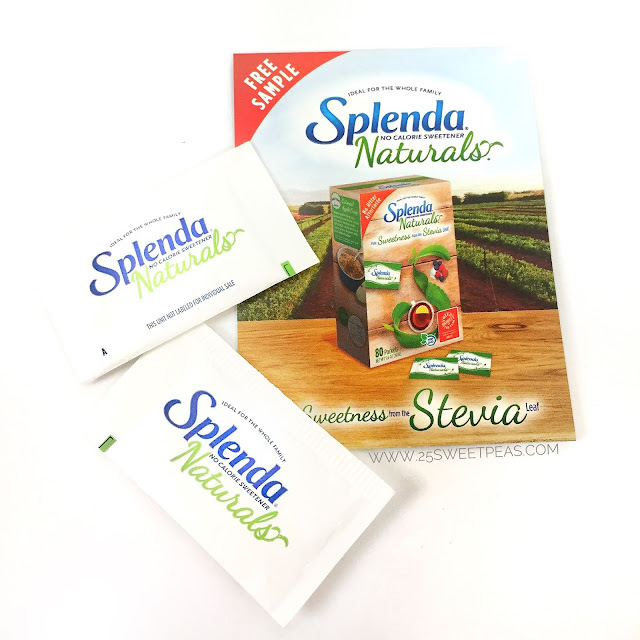 I LOVE INFLUENSTER! They always have such great quality products they send in their Vox Boxes. I also love the Not Your Mother's brand. They don't seem to get as much publicity as they deserve. I think I would love this hair mask. Same, totally agree! Here they are sold so many places and have special tags in stores since its a FL based brand! I love their texturing spray! I mean beachy hair is always a desire! 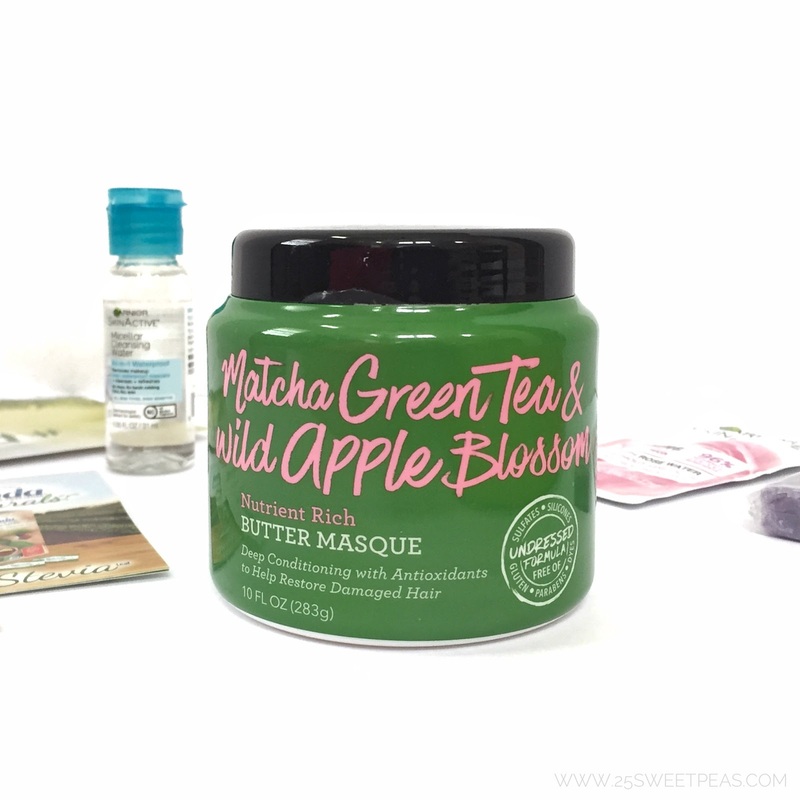 Matcha Green Tea & Wild Apple Blossom Nutrient Rich Butter Masque looks amazing! It is and it smells amazing! The butter masque sounds really luxurious! Perfect for a deep conditioner! That looks like such a great box! I haven't gotten one from Influenster in SO long but want to look into it again! I hadn't either this was def the first one this year I think! 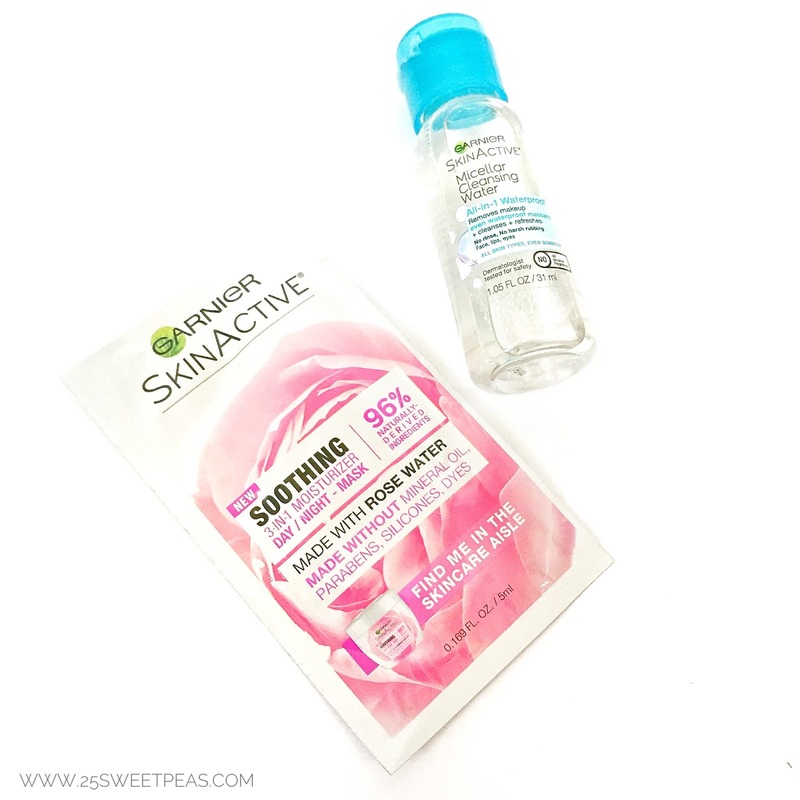 This is still a fun Box even if you didn’t love the cleanser! I have found myself keyed into soaps lately, so it is good to know that sumBody is a good option! I'll be checking them out! They are super nice, I Hope some day they are sold in stores. They are nice and I would love to smell them all! LOL! This lavender was great! It was a great mix, it is really nice! 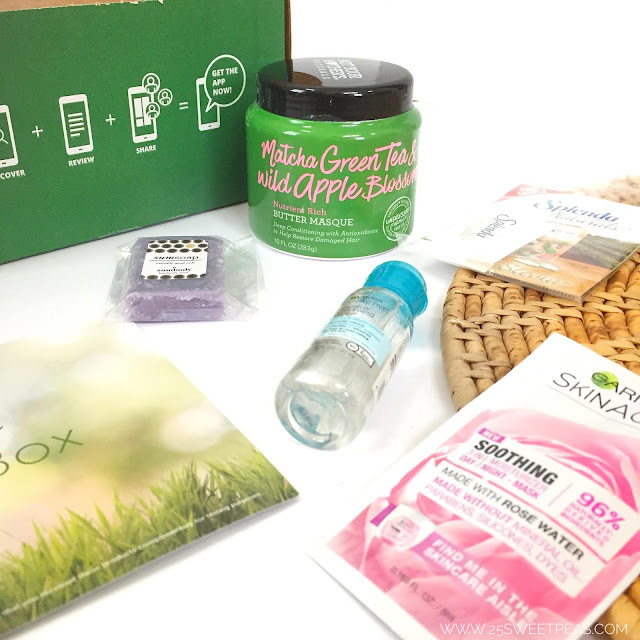 What a great VoxBox! I loved your YT video unboxing, and your blog photos are stunning as always. I love that Garnier water, it breaks down waterproof mascara like a champ. Aww, thank you! I will definitely give it ago and keep it on hand for waterproof makeup for sure because thats always a pain to remove! Its great. Perfect for a deep condition and smells amazing! I am super interested in that hair mask! Let me know how you like it when you get around to using it. I've now been using it and really like it, like a nice deep conditioner and smells amazing! I got this same box and that butter mask....AMAZING!!! I will so be buying more of this!!! Right?! The scent alone is really nice! Great box! I’d love to try that hair masque and the handmade soap! The mask is so very nice! I love how it makes your whole shower smell while using it! The soap is amazing!